I know I’m not the only parent that obsesses over the kids items that we bring into our house. Aside from being fun and safe, I also have a strong “need” for everything to be extra cute and match my color scheme and decor as well. 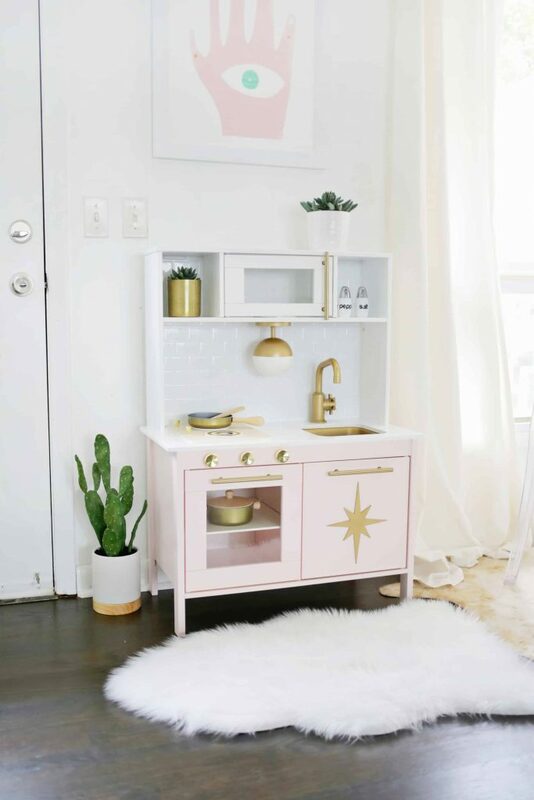 I’ve done some DIY projects totally from scratch to be the most adorable possible (like this toddler activity center), but I also wanted to set Lola up with a play kitchen in our den to (hopefully!) entertain her a bit while we make dinner nearby. So an IKEA play kitchen hack seemed like the perfect project to tackle! Here’s how I customized mine! For the full DIY (including handy progress shots) head over to A Beautiful Mess!